If you pay by GoCardless Direct Debit – you don’t have to do anything at all – it is all done for you. 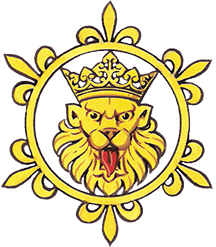 If you pay by Standing Order – you don’t have to do anything at all – it is all done for you, BUT, please contact the Treasurer (treasurer@theheraldrysociety.com) as he is keen for UK members and members with UK bank accounts to change from Standing Orders to GoCardless from next year. If you are an UK or international member and pay by Bank Transfer – you can now renew your sub electronically by accessing our website and using the RENEW form facility. If you are an international member and usually pay by PayPal – you can now renew your sub electronically by accessing our website and using the RENEW form facility. If you are a member who usually pays by Cheque you will have noticed that there was no yellow form in with your December mailing, If you would like a paper form please contact me and I will send you one, or, you can download a copy by clicking the little arrow below, which will produce the file. Just click on Open to download the form to your computer. Then send your sub to me at the registered office.